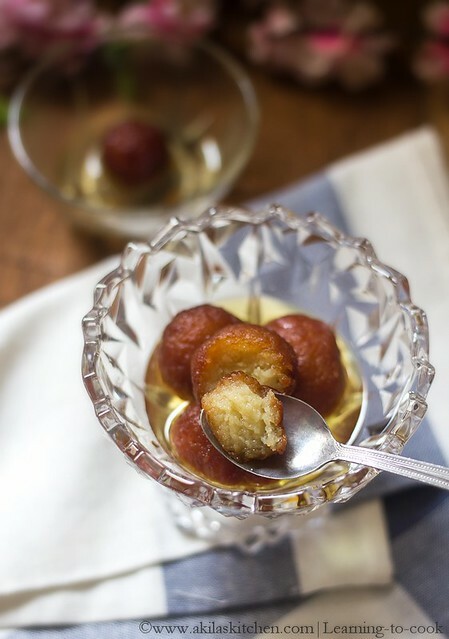 I have not tried the Bread Gulab Jamun before and never expected this to be such an easy alternative to the original Gulab Jamun recipe. Even my mom is new to this and she also surprised by the result. I can definitely say, if you are a Gulab jamun fan, then this Bread Gulab Jamun is also a must try one. 1. Remove the sides of the bread and make them to small pieces. 2. Grind them nicely to a powder form and add the milk powder and the baking soda. 3. Add little amount of water and smash it to form a soft dough. Make them into equal sized balls ( small lemon size ). Let it rest for sometime. 4. Meanwhile, add sugar in a vessel and add water. 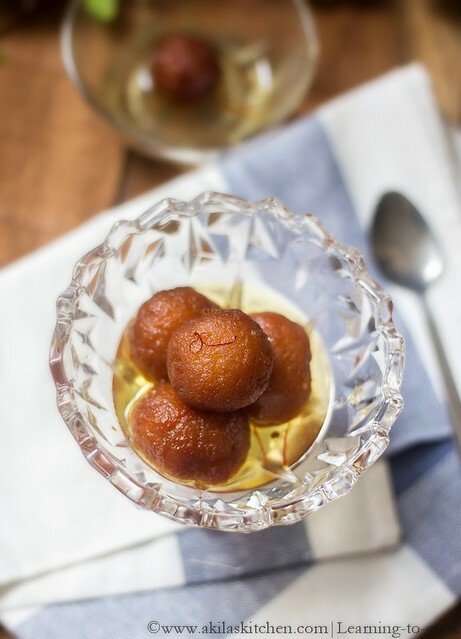 When sugar starts to dissolve, add the saffron, cardamom powder and the ghee. 5. 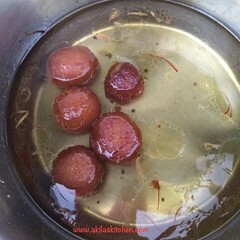 Now heat the oil and add the balls one by one. Keep the flame in low and Keep rotating the balls for smooth browning on all sides. When they become light brown colour. Remove from oil. 6. 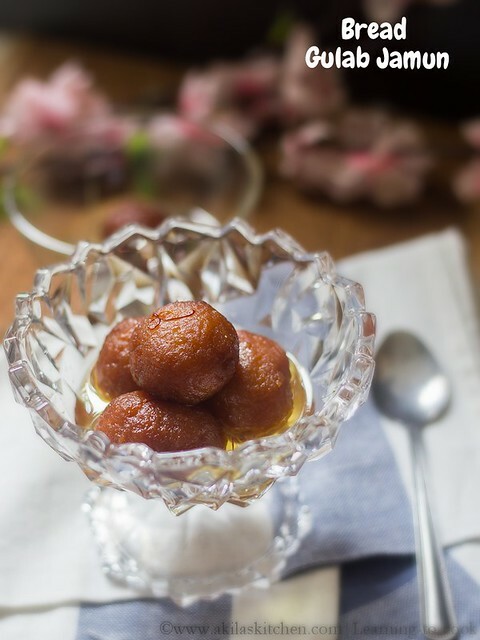 Place them in the hot sugar syrup and leave it for 15min for the balls to absorb sugar syrup. 7. 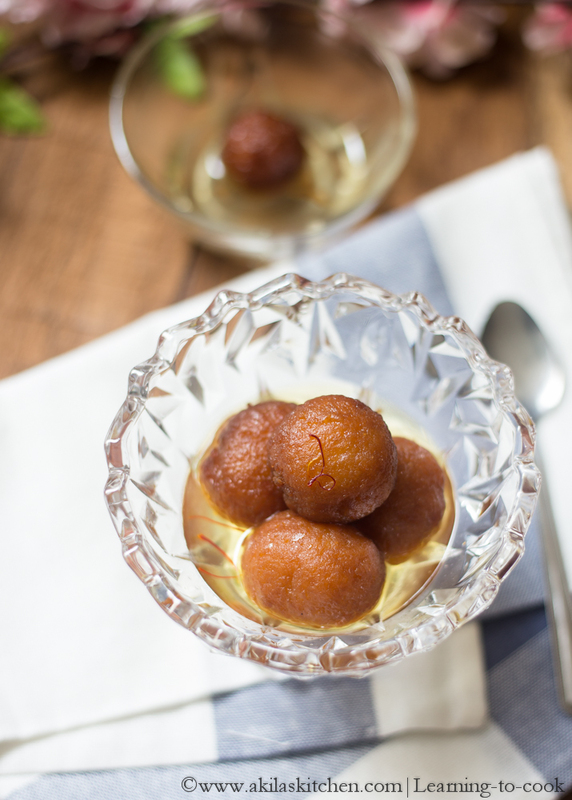 Tasty and delicious Bread Gulab Jamuns are ready to be served. 1. I used milk bread for this. You can use any bread, but try to use unsalted one. 2. Roll the balls smoothly and not too tight. 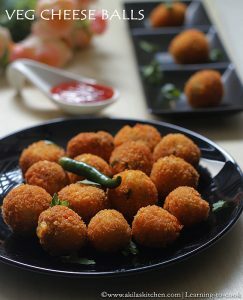 Because, while frying, the inner part might not cook properly, if you roll them tightly. 3. Keep the flame in low, while frying the balls for even cooking and keep rolling the balls. 4. Adding milk powder and cooking soda are purely optional. Using bread in g jamuns is new to me. Nice to see that it soaked up the syrup.